Editing is a craft that each editor approaches with similarities and differences in style and technique. If you follow my editor interviews or those at Steve Hullfish’s Art of the Cut series, then you know that most of the top editors are more than willing to share how they do things. This post will go through a “baker’s dozen” set of tips and techniques that hopefully will help your next, large project go just a bit more smoothly. Transcoding media. While editing with native media straight from the camera is all the rage in the NLE world, it’s the worst way to work on long-term projects. Camera formats vary in how files are named, what the playback load is on the computer, and so on. It’s best to create a common master format for all the media in your project. If you have really large files, like 4K camera media, you might also transcode editing proxies. Cut with these and then flip to the master quality files when it comes time to finish. Transcode audio. In addition to working with common media formats, it’s a good practice to get all of your audio into a proper format. Most NLEs can deal with a mix of audio formats, bit depths and sample rates, but that doesn’t mean you should. It’s quite common to get VO and temp music as MP3 files with 44.1kHz sampling. Even though your NLE may work with this just fine, it can cause problems with sync and during audio post later. Before you start working with audio in your project, transcode it to .wav of .aif formats with 48kHz sampling and 16-bit or 24-bit bit-depth. Higher sampling rates and bit-depths are OK if your NLE can handle them, but they should be multiples of these values. Break up your project files by reel. Most films are broken down into 20 minute “reels”. Typically a feature will have five or six reels that make up the entire film. This is an old-school approach that goes back to the film day, yet, it’s still a good way to work in the modern digital era. How this is done differs by NLE brand. With Media Composer, the root data file is the bin. Therefore, each film reel would be a separate timeline, quite possibly placed into a separate bin. This facilitates collaboration among editors and assistants using different systems, but still accessing the same project file. Final Cut Pro X and Premiere Pro CC don’t work this way. You cannot share the exact same FCPX library or Premiere Pro project file between two editors at one time. In Final Cut Pro X, the library file is the basic data file/container, so each reel would be in its own library with a separate master library that contains only the final edited sequence for each of the reels. Since FCPX editors can open multiple libraries, it’s possible to work across reels this way or to have different editors open and work on different libraries independent of each other. With Premiere you can only have a single project file open at one time. 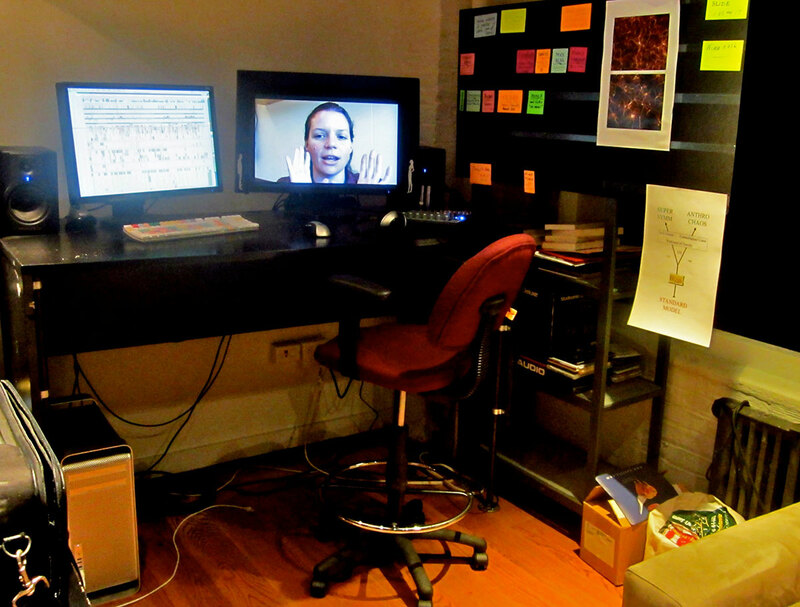 When a film is broken into one reel per project, it becomes easy for editors and assistants to work collaboratively. 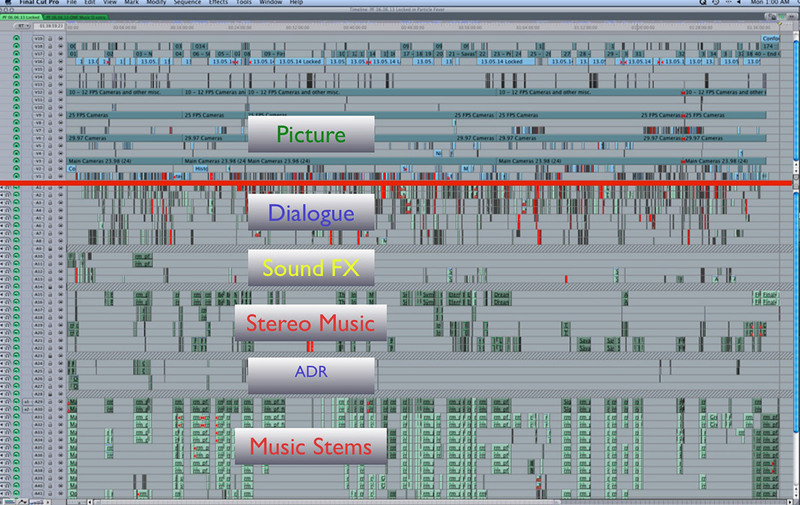 Then a master project can be created to import the final version of each reel’s timeline to create the combined film timeline. Media Browser within Premiere Pro should be used to access sequences from within other project files and import them into a new project. Show/hide, sifting and sorting. Each NLE has its own way of displaying or hiding clips and subclips. Learning how to use these controls will help you speed up the organization of the media. Final Cut Pro X has a sophisticated method of assigning “favorites” and “rejects” to clips and ranges within clips. You can also assign keywords. By selecting what to see and to hide, it’s easy to cull a mass of footage into the few, best options. Likewise with Media Composer and Premiere Pro, you can show and hide clips and also sort by custom column criteria. Media Composer includes a custom sift feature, which is a filtering solution within the bin. It is easy to sift a bin by specific data in certain columns. Doing so hides everything else and reveals only the matching set of media on a per-bin basis. Stringouts. A stringout is a sequence of selected footage. Many editors use stringouts as the starting point and then whittle down the scene from there. For example, Kirk Baxter likes his assistants to create a stringout for a dialogue scene that is broken down by line and camera. For each line of dialogue, you would see every take and camera angle covering that line of dialogue from wide to tight. Then the next line of dialogue and so on. The result is a very long sequence for the scene, but he can quickly assess the performance and best angle for each portion of the scene. Then he goes through and picks his favorites by pushing the video clip up one track for quick identification. The assistant then cleans up the stringout by creating a second version containing only these selected clips. Now the real cutting can begin. Julian Clarke has his assistants create a similar stringout for action scenes. All takes and angles are organized back-to-back matching the choreography of the action. So – every angle/take for each crash or blast or punch within the scene. From these he has a clear idea of coverage and how to proceed cutting the scene, which otherwise might have an overwhelming amount of footage at first glance. I use stringouts a lot for interview-driven documentaries. One sequence per person with everything. The second and third stringouts are successive cutdowns from that initial all-inclusive stringout. At this stage I start combining portions of sequences based on topics for a second round of stringouts. These will get duplicated and then culled, trimmed and rearranged as I refine the story. Pancakes and using sequences as sources. When you use stringouts, it’s common to have one sequence become the source for another sequence. There are ways to handle this depending on your NLE. Many will nest the source sequence as a single clip on the new timeline. I contend that nesting should be avoided. Media Composer only allows one sequence in the “record” window to be active at any one time (no tabbed timeline). However, you can also drag a sequence to the source window and its tracks and clips can be viewed by toggling the timeline display between source and record. At least this way you can mark ins and outs for sections. Both Final Cut Pro “legacy” and Premiere Pro enable several sequences to be loaded into the timeline window where they are accessible through tabs. Final Cut Pro X dropped this feature, replacing it with a timeline history button to step forward or backward through several loaded sequences. To go between these sequences in all three apps, using copy-and-paste functions are typically the best way to bring clips from one sequence into another. One innovative approach is the so-called “pancake” timeline, popularized by editor/blogger Vashi Nedomansky. 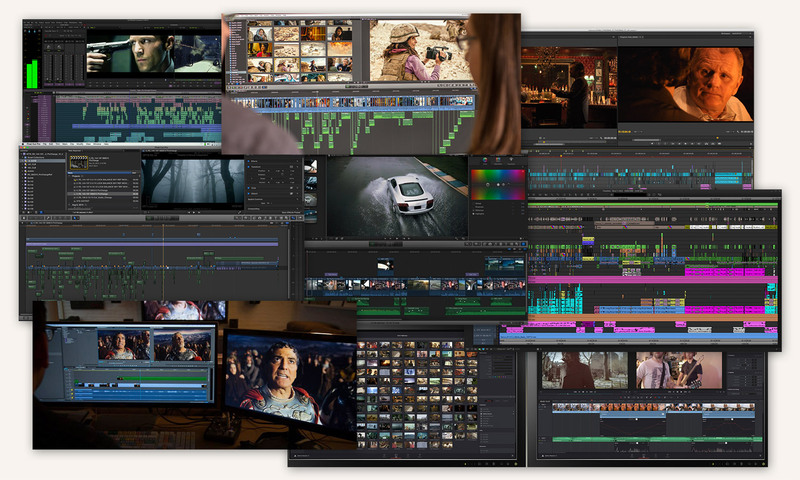 Premiere Pro permits you to stack two or more timelines into separate panels. The selected sequence becomes active in the viewer at any given time. By dragging between timeline panels, it is possible to edit from one sequence to another. This is a very quick and efficient way to edit from a longer stringout of selects to a shorting one with culled choices. Scene wall. 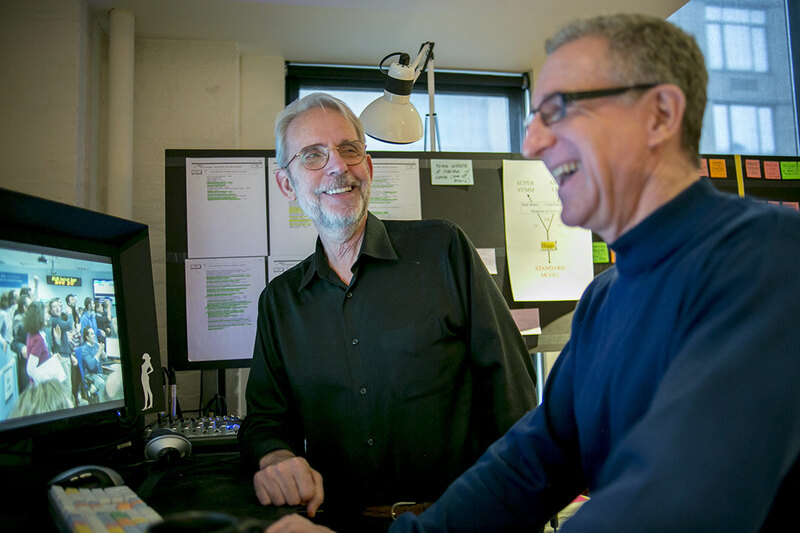 Walter Murch has become synonymous with the scene wall, but in fact, many editors use this technique. 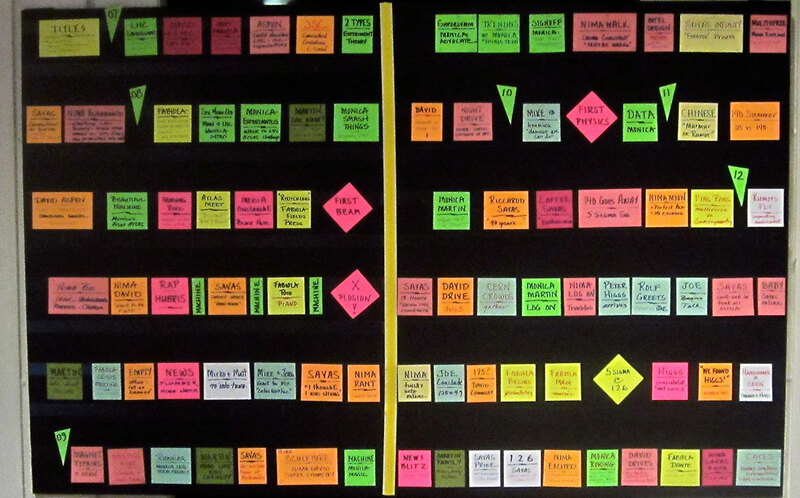 In a scene wall, a series of index cards for each scene is placed in story order on a wall or bulletin board. This provides a quick schematic of the story at any given time during the edit. As you remove or rearrange scenes, it’s easy to see what impact that will have. Simply move the cards first and review the wall before you ever commit to doing the actual edit. In addition, with the eliminated cards (representing scenes) moved off to the side, you never lose sight of what material has been cut out of the film. This is helpful to know, in case you want to go back and revisit those. Skinning, i.e. self-contained files. Another technique Murch likes to use is what he calls adding a skin to the topmost track. The concept is simple. When you have a lot of mixed media and temp effects, system performance can be poor until rendered. Instead of rendering, the timeline is exported as a self-contained file. In turn, that is re-imported into the project and placed onto the topmost track, hiding everything below it. Now playback is smooth, because the system only has to play this self-contained file. It’s like a “skin” covering the “viscera” of the timeline clips below it. As changes are made to add, remove, trim or replace shots and scenes, an edit is made in this self-contained clip and the ends are trimmed back to expose the area in which changes are being made. Only the part where “edit surgery” happens isn’t covered by the “skin”, i.e. self-contained file. Next a new export is done and the process is repeated. By seeing the several tracks where successive revisions have been made to the timeline, it’s possible to track the history of the changes that have been made to the story. Effectively this functions as a type of visual change list. Visual organization of the bin. Most NLEs feature list and frame views of a bin’s contents. FCPX also features a filmstrip view in the event (bin), as well as a full strip for the selected clip at the top of the screen when in the list view. Unfortunately, the standard approach is for these to be arranged based on sorting criteria or computer defaults, not by manual methods. Typically the view is a tiled view for nice visual organization. But, of course, the decision-making process can be messy. Premiere Pro at least lets you manually rearrange the order of the tiles, but none of the NLEs is as freeform as Media Composer. The bin’s frame view can be a completely messy affair, which editors use to their advantage. A common practice is to move all of the selected takes up to the top row of the bin and then have everything else pulled lower in the bin display, often with some empty space in between. Multi-camera. It is common practice, even on smaller films, to shoot with two or more cameras for every scene. Assuming these are used for two angles of the same subject, like a tight and a wide shot on the person speaking, then it’s best to group these as multi-camera clips. This gives you the best way to pick among several options. Every NLE has good multi-camera workflow routines. However, there are times when you might not want to do that, such as in this blog post of mine. Multi-channel source audio. Generally sound on a film shoot is recorded externally with several microphones being tracked separately. A multi-channel .wav file is recorded with eight or more tracks of materials. The location sound mixer will often mix a composite track of the microphones for reference onto channel one and/or two of the file. When bringing this into the edit, how you handle it will vary with each NLE. Both Media Composer and Premiere Pro will enable you to merge audio and picture into synchronized clips and select which channels to include in the combined file. Since it’s cumbersome to drag along eight or more source channels for every edit in these track-based timelines, most editors will opt to only merge the clips using channel one (the mixed track) of the multi-channel .wav file. There will be times when you need to go to one of the isolated mics, in which case a match-frame will get you back to the source .wav, from which you can pull the clean channel containing the isolated microphone. If your project goes to a post-production mixer using Pro Tools, then the mixer normally imports and replaces all of the source audio with the multi-channel .wav files. This is common practice when the audio work done by the picture editor is only intended to be used as a temp mix. With Final Cut Pro X, source clips always show up as combined a/v clips, with multi-channel audio hidden within this “container”. This is just as true with synchronized clips. To see all of the channels, expand the clip or select it and view the details in the inspector. This way the complexity doesn’t clog the timeline and you can still selectively turn on or off any given mic channel, as well as edit within each audio channel. No need to sync only one track or to match-frame back to the audio source for more involved audio clean-up. Multi-channel mixing. Most films are completed as 5.1 surround mixes – left, center, right, left rear surround, right rear surround, and low-frequency emitter (subwoofer). Films are mixed so that the primary dialogue is mono and largely in the center channel. Music and effects are spread to the left and right channels with a little bit also in the surrounds. Only loud, low frequencies activate the subwoofer channel. Usually this means explosions or some loud music score with a lot of bottom. In order to better approximate the final mix, many editors advocate setting up their mixing rooms for 5.1 surround or at least an LCR speaker arrangement. If you’ve done that, then you need to mix the timeline accordingly. Typically this would mean mono dialogue into the center channel and effects and music to the left and right speakers. Each of these NLEs support sequence presets for 5.1, which would accommodate this edit configuration, assuming that your hardware is set up accordingly. Audio – organizing temp sound. It’s key that you organize the sounds you use in the edit in such a way that it is logical for other editors with whom you may be collaborating. It should also make sense to the post-production mixer who might do the final mix. 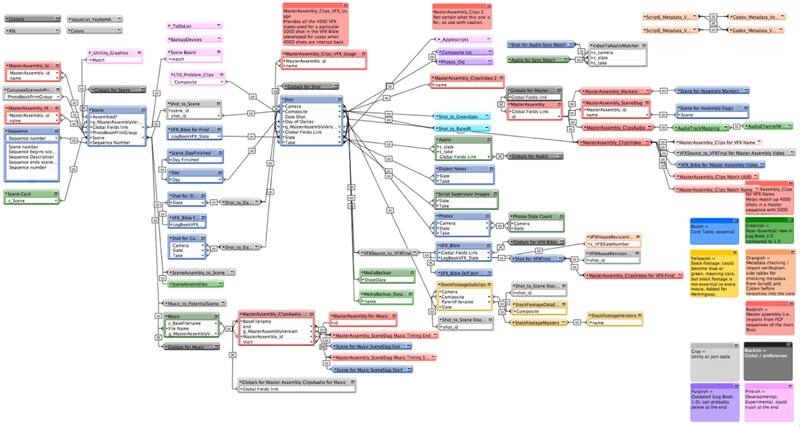 If you are using a track-based NLE, then structure your track organization on the timeline. For example, tracks 1-8 for dialogue, tracks 9-16 for sound effects, and tracks 17-24 for music. If you are using Final Cut Pro X, then it’s important to spend time with the roles feature. If you correctly assign roles to all of your source audio, it doesn’t matter what your timeline looks like. Once properly assigned, the selection of roles on output – including when using X2Pro to send to Pro Tools – determines where these elements show up on an exported file or inside of a Pro Tools track sheet. The most basic roles assignment would be dialogue, effects and music. With multi-channel location recordings, you could even assign a role or subrole for each channel, mic or actor. Spending a little of this time on the front end will greatly improve efficiency at the back end. For more ideas, click on the “tips and tricks” category or start at 12 Tips for Better Film Editing and follow the bread crumbs forward. Filmmaking isn’t rocket science, but sometimes they are kissing cousins. Such is the case of the documentary Particle Fever, where the credentials of both producer David Kaplan and director Mark Levinson include a Doctorate in particle physics. Levinson has been involved in filmmaking for 28 years, starting after his graduation from Berkeley, when he found the job prospects for physics in a slump. Instead he turned to his second passion – films. Levinson worked as an ADR specialist on such films as The English Patient, The Talented Mr. Ripley, Cold Mountain, and The Rainmaker. While working on those films, he built up a friendship with noted film editor Walter Murch (The Conversation, Julia, Apocalypse Now, K-19: The Widowmaker). In addition, Levinson was writing screenplays and directing some of his own independent films (Prisoner of Time). This ultimately led him to combine his two interests and pursue Particle Fever, a documentary about the research, construction and goals of building the Large Hadron Collider. When it came time to put the polish on his documentary, Mark Levinson tapped Walter Murch as the editor. Murch explained, “I was originally only going to be on the film for three months, because I was scheduled to work on another production after that. I started in March 2012, but the story kept changing with each breaking news item from the collider. And my other project went away, so in the end, I worked on the film for 15 months and just finished the mix a few weeks ago [June 2013].” At the start of the documentary project, the outcome of the research from the Large Hadron Collider was unknown. In fact, it wasn’t until later during the edit, that the scientists achieved a major success with the confirmation of the discovery of the Higgs boson as an elementary particle in July 2012. This impacted science, but also the documentary in a major way. As in most documentaries, the post team faced a multitude of formats and a wealth of material, including standard definition video recorded in 2007, the HDV files from the scientists’ “webcams” and Panasonic HD media from the interviews. In addition, there was a lot of PAL footage from the media libraries at CERN, the European particle accelerator. During the production, news coverage focused on the theoretical, though statistically unlikely, possibility that the Large Hadron Collider might have been capable of producing a black hole. This yielded even more source material to sift through. In total, the production team generated 300 hours of content and an additional 700 hours were available from CERN and the various news pieces produced about the collider. 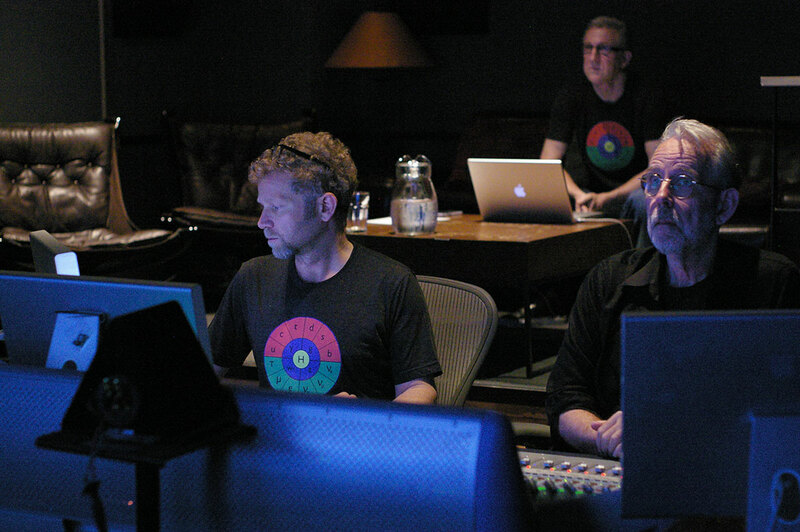 The post team operated out of Gigantic Studios in New York, which enabled an interactive workflow between Murch and sound designer Tom Paul (on staff at Gigantic) and with composer Robert Miller. Walter Murch’s editorial style involves building up a lot of temporary sound effects and score elements during the rough cut phase and then, piece-by-piece, replacing those with finished elements as he receives them. His FCP sequence on Particle Fever had 42 audio tracks of dialogue, temp sound effects and music elements. This sort of interaction among the editor, sound designer and composer worked well with a small post team all located in New York City. By the time the cut was locked in May, Miller had delivered about an hour of original score for the film and supplied Murch with seven stereo instrumentation stems for that score to give him the most versatility in mixing. Gigantic Post offered the advantage of an on-site screening room, which enabled the producers to have numerous in-progress screenings for both scientific and industry professionals, as well as normal interested viewers. Murch explained, “It was important to get the science right, but also to make it understandable to the layman. I have more than a passing interest in the subject, but both Mark and David have Ph.D.s in particle physics, so if I ever had a question about something, all I had to do was turn around and ask. We held about 20 screenings over the course of a year and the scientists who attended our test screenings felt that the physics was accurate. But, what they also particularly liked was that the film really conveys the passion and experience of what it’s like to work in this field.” Final Frame Post, also in New York, handled the film’s grading and digital intermediate mastering. Particle Fever premiered at Doc/Fest Sheffield on June 14th, and won the Audience Award (split with Act of Killing). It is currently in negotiations for distribution. NOTE: The film will open in New York on Ma5, 2014. In October 2013. Peter W. Higgs – who theorized about the boson particle named after him – was awarded the Nobel Prize in Physics, together with Francois Englert. For more on Walter Murch’s thoughts about editing, click here. And finally, an interesting look at Murch’s involvement in the Rolex Mentor Protege program, as well as an interview from 2016. Director Philip Kaufman has a talent for telling a good story against the backdrop of history. The Right Stuff (covering the start of the United States’ race into space) and The Unbearable Lightness of Being (the 1968 Soviet invasion of Prague) made their marks, but now the latest, Hemingway & Gellhorn continues that streak. Originally intended as a theatrical film, but ultimately completed as a made-for-HBO feature, Hemingway & Gellhorn chronicles the short and tempestuous relationship between Ernest Hemingway (Clive Owen) and his third wife, Martha Gellhorn (Nicole Kidman). The two met in 1936 in Key West, traveled to Spain to cover the Spanish Civil War and were married in 1940. They lived in Havana and after four years of a difficult relationship were divorced in 1945. During her 60-year career as a journalist, Gellhorn was recognized as being one of the best war correspondents of the last century. She covered nearly every conflict up until and including the U. S. invasion of Panama in 1989. The way Walter Murch organizes his work is a good fit for Final Cut Pro 7, which he used on Hemingway & Gellhorn and continues to use on a current documentary project. 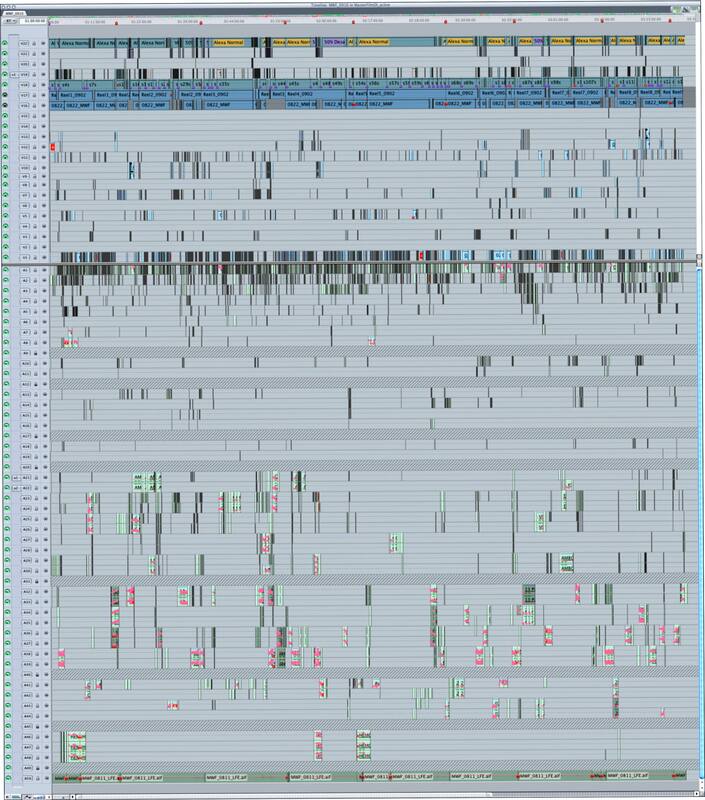 In fact, at a Boston FCP user gathering, Murch showed one of the most elaborate screen grabs of an FCP timeline that you can imagine. He takes full advantage of the track structure to incorporate temporary sound effects and music cues, as well as updated final music and effects. 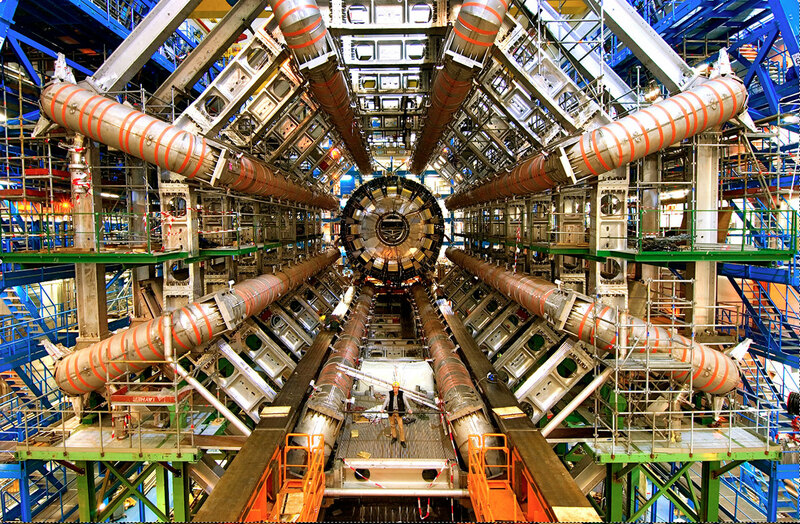 Walter Murch is currently working on a feature documentary about the Large Hadron Collider. Murch, in his many presentations and discussions on editing, considers the art part plumbing (knowing the workflow), part performance (instinctively feeling the rhythm and knowing, in a musical sense, when to cut) and part writing (building and then modifying the story through different combinations of picture and sound). Editing a documentary is certainly a great example of the editor as writer. His starting point is 300 hours of material following three theorists and three experimentalists over a four-year period, including the catastrophic failure of the accelerator nine days after it was turned on for the first time. Murch, who has always held a love and fascination for the sciences, is once again at that intersection of history and drama. Originally written for Digital Video magazine (NewBay Media, LLC). NOTE: This post has been changed into a page on the top header, called “Film Stories”. Further updates will be made on that page. I’ve had the good fortune, thanks to my work with Videography and Digital Video magazine, to interview an inspiring collection of some of the best film editors in the world. You can click on the “filmmakers” category on the side panel to access these stories, but I’ve aggregated them here for easy access here. These interviews cover a wide range of feature film styles. The interviewees were gracious enough to share their experiences with creative challenges and how they leveraged editing technology to get the job done. For those keeping a tally, Avid Media Composer and Apple Final Cut Pro are well-represented, along with “cameos” by Lightworks. Even Adobe’s tools make several appearances. Although I don’t consider myself in the same league as most of these luminaries, I’ve included a few projects of mine, which happen to fit nicely into the world of indie filmmaking. I hope you will take the time to revisit these articles and pick up some tips that might benefit your own personal style. Enjoy! With Oscar time approaching and movie-going, as well as, movie-giving a holiday tradition for many families, I decided to post a list of some films that are fun for editors to watch. These aren’t all Oscar-contenders, although there’s plenty of bling in this list. They are presented in no particular order, so I hope you enjoy. This is the newest film in the batch and I found it to be not only well-crafted, but also beautifully shot (cinematography by Robert Richardson). Tarantino draws a lot of opinions, but it’s clear that his approach to shooting and editing uses a very classic style. Pay attention to the dialogue scenes and you’ll agree that Tarantino is probably the best director today in structuring and directing dialogue-driven films. This quirky film is best known for the way the plot is revealed in reverse. In fact, there’s a DVD version that lets you run the scenes from back-to-front in a somewhat linear, chronological order. Although you’d think the scene construction is a contrivance developed in the cutting room, Dorn is the first to admit that this was actually how the script was written. Slumdog Millionaire beat it out for best cinematography, but nevertheless, Button is a gorgeous example of how digital films can look (cinematography by Claudio Miranda). The aging VFX are the hook, of course, but they work well in service of the story. The editing helps to move the story along, aiding the matter of fact way in which the story is told by its characters. I enjoy documentaries, but they don’t get any better than when the actual events take plot turns as if they were scripted. In this story about paraplegic rugby, the participants are like gladiators in wheelchairs. It was shot with a variety of DV cameras, but the editing pace makes that something you’ll never obsess over. Natural rivalries develop and this story is a blast for anyone who loves films about sports and sports personalities. Scott’s film about the horrific events in Mogadishu is a seminal war film – representative of the surrealism of conflict in ways that a film like Apocalypse Now could never do justice to. It’s also a movie that I feel was largely built in the edit bay. Dump a bushel basket of disjointed combat footage on the editor and see what you get. Pick any or all of the three. They are all great. The main criticism leveled by others is the shaky-cam style of shooting and the frenetic ADD cutting. Not something that bothers me in the least. Nevertheless, the films are a fast ride for the audience and exemplify good, fast-paced cutting. It’s all the more helped by the believability Matt Damon brings to the role. This 2003 remake probably didn’t make many “best lists”, but I enjoyed the film. It’s a nicely crafted caper flick without many flaws. You’ll notice the deft editing Christopher Rouse (The Bourne Ultimatum) brings to the movie. Plus a really cool car chase scene with Minis! This is Coppola’s first digital film. It was shot in Romania and is highlighted by some gorgeous cinematography (Mihai Malaimare, Jr.) and a very evocative score (Osvaldo Golijov). It’s a very romantic and surrealistic tale that will keep you enthralled until the end. This film is credited with starting the move to DI finishing, thanks to DP Roger Deakins. It’s got a great look and the story shows the Coens at their best, with homages to The Wizard of Oz and Homer’s epic poem, The Odyssey. I happen to like George Clooney when he plays the buffoon and the stellar cast of O Brother never disappoints in the madcap category. Although technically a documentary, Shine A Light is one of the best concert films in years. I’ve cut my share of concert shows, so I was cutting this one right in my head the whole time I was watching. It’s certainly a fun cut and one that gives you an intimate look inside the performance. Coupled with a Bob Clearmountain live music mix, you’ll feel like you’re right in the middle of the Beacon Theater when you watch this one. I saw this again the other night on Comedy Central and it was hilarious. This is a Wright/Pegg (Shaun of the Dead) spoof of cop/buddy films, that has more action than most action films. Pay close attention to the cutting, as this film has over 5,000 picture edits! Dickens picked up an Oscar for Slumdog Millionaire, but this effort is no less inspiring for other editors. There is some over-the-top violence (a la Monty Python), but in spite of the parody, Hot Fuzz holds up well against “legitimate” action films like the Bourne franchise. Daniel Day-Lewis is totally captivating as oilman Daniel Plainview in this film adaption of Upton Sinclair’s Oil! This is also a look at the beauty of film at its best, done the “natural way” – i.e. no DI. Kudos to Robert Elswit, whose cinematography has a real richness to it. For the editors in the crowd, pay attention to the first portion of the film. Tichenor does a masterful job of advancing the story over many years of Plainview’s life without any dialogue. Well, that’s a quick look at a dozen films for the holidays. Have fun! Age can sometimes be an impediment to inspired filmmaking, but Francis Ford Coppola, who recently turned 70, has tackled his latest endeavor with the enthusiasm and creativity of a young film school graduate. The film Tetro opened June 11th in New York and Los Angeles and will enter wider distribution in the weeks that follow. Coppola set up camp in a two-story house in Buenos Aires and much of the film was produced in Argentina. This house became the film’s headquarters for production and post in the same approach to filmmaking that the famed director adopted on Youth Without Youth (2007) in Romania. Tetro is Francis Ford Coppola’s first original screenplay since The Conversation (1974) and is very loosely based on the dynamics within his own family. It is not intended to be autobiographical, but explores classic themes of sibling rivalry, as well as the competition between father and son. Coppola’s own father, Carmine (who died in 1991), was a respected musician and composer who also scored a number of his son’s films. One key figure in Tetro is the family patriarch Carlo (Klaus Brandauer), an acclaimed symphony conductor, who moved as a young music student from the family home in Argentina to Berlin and then to New York. Carlo’s younger son Bennie (Alden Ehrenreich) decided to head back to Buenos Aires in search of his older brother, the brooding poet Tetro (Vincent Gallo) – only to discover a different person than he’d expected. Coppola put together a team of talented Argentine actors and crew, but also brought back key collaborators from his previous films, including Mihai Malaimare, Jr.(director of photography), Osvaldo Golijov (composer) and Walter Murch (editor and re-recording mixer). I caught up with Walter Murch via phone in London, where he spoke at the 1st Annual London Final Cut Pro User Group SuperMeet. Initial Tetro reviews have commented on the striking visual style of the film. All modern day scenes are in 2.35 wide-screen black-and-white, while flashbacks appear in more classically-formatted 1.77 color. This is Coppola’s second digital film and it followed a similar workflow to that used on Youth Without Youth, shooting with two of the director’s own Sony F900 CineAlta HD cameras. As in the earlier film, the signals from both F900s were recorded onto one Sony SRW field recorder in the HDCAM-SR format. This deck recorded two simultaneous 4:2:2 video streams onto a single tape, which functioned as the “digital negative” for both the A and B cameras. Simultaneously, another backup recording was made in the slightly more compressed 3:1:1 HDCAM format, using the onboard recorders of the Sony cameras. These HDCAM tapes provided safety backup as well as the working copies to be used for ingest by the editorial team. The HDCAM-SR masters, on the other hand, were set aside until the final assembly at the film’s digital intermediate finish at Deluxe. It’s awards season again. I was checking out the nominations for the 81st Academy Awards – The Oscars – and happy to see a few names jump out at me. One of the fun things I get to do is interview some of the leading editors around the world for many of the articles I write. Of course, as a working editor, I am particularly keen on the Oscar category for best Film Editing and happy to see that 3 out of 5 of the nominees are folks that I have spent some time with doing these interviews. The Curious Case of Benjamin Button (Kirk Baxter and Angus Wall) and The Dark Knight (Lee Smith) seemed like obvious choices to me at the time and I invite you to visit my posts for these films. Slumdog Millionaire is more of a surprise. Not because of the film, but because Chris Dickens’ name jumped out at me in an “oh wow!” moment. Chris was the editor on Hot Fuzz, a truly funny, buddy-cop-film parody. I have cut my share of documentaries and really enjoyed seeing Encounters at the End of the World. It’s a good choice in the Documentary Feature Film category, but for me the nomination holds extra excitement. It was posted in the shop of some industry friends, Alphadogs in Burbank. Furthermore, this also offered a chance for a good story with Brian Hutchings, the film’s colorist. Aside from my own personal good wishes for the nominees, these films provide some other interesting ingredients. If certain of these films win in their categories, a number of milestones will have been reached. For instance, Avid editing and Pro Tools audio products are well-represented again (as in past years), but a win in the editing category for The Curious Case of Benjamin Button means a milestone for Apple. It will have been the first Oscar winner for editing in which Final Cut Pro was used. This will be as big an event for FCP users as when Walter Murch won for The English Patient in 1996 – the first editing Oscar for a film cut on an NLE – an Avid Media Composer. Another important editing milestone was Thelma Schoonmaker’s 2004 win for The Aviator, which she cut on a Lightworks system. While we are on the subject of milestones, it’s noteworthy that both The Curious Case of Benjamin Button and Slumdog Millionaire picked up Oscar nominations for Cinematography. If either wins, this will be the first such Oscar going to a film that was primarily shot using a digital camera. Benjamin Button relied on the Grass Valley Viper while Slumdog represents the most visible use to date of the Silicon Imaging SI2K digital camera. Furthermore, the latter would also be the first use of digital camera raw technology in an Oscar winner, thus beating RED to those bragging rights! Even without a win, Slumdog Millionaire is still the first Cinematography nominee to claim this distinction. Although Encounters at the End of the World wasn’t nominated in one of these craft categories, it, too, represents some interesting technological firsts. If it wins, this will be a significant notch in Sony’s belt for the use of XDCAM-HD acquisition. I believe it will also be the first winner that used Apple Color (or its predecessor, Final Touch) as the primary color grading tool. Until awards night, this is all just fun speculation. We’ll know in a month when the 81st Annual Academy Awards hits the air. Not all can win, but just to be nominated is to be in a very select crowd. In the meantime, I offer each and every nominee a heartfelt congratulations and GOOD LUCK! EDIT: The Oscars have just been awarded as I write this. “Slumdog Millionaire” held the lead it started at the Golden Globes and the British awards to take 8 Oscars, including Best Picture and Best Director. The Film Editing award went to Chris Dickens, continuing the long string of editing statuettes going to Avid jockeys. This is a well-deserved honor for a very talented editor. In addition, “Slumdog Millionaire” broke new ground by earning the Cinematography honor for a film largely shot with the SI2K digital camera – the first digital cinema camera that can now make this claim. On the documentary front, “Encounters at the End of the World” was beaten by “Man On Wire”, the story of tightrope walker Philippe Petit. In his early career Petit astounded and captivated the world with his daring walk between the twin towers of the World Trade Center high above Manhattan right at the time of the towers’ completion.